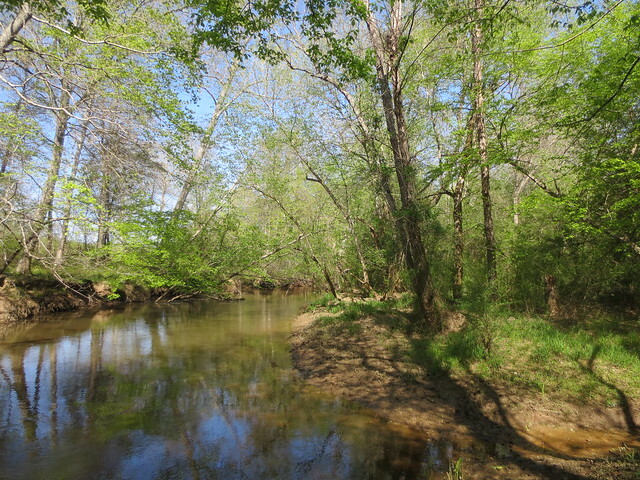 Tar River Land Conservancy (TRLC) recently purchased 152 acres along Fishing Creek in southern Warren County. The property was purchased from the family of the late Mary Louise Pullen Owen, whose parents acquired the land in 1938. Over the last eighteen years, TRLC has preserved 2,407 acres of land on Fishing and Little Fishing Creeks through conservation easement agreements and land purchases. “We are grateful to Mrs. Owen’s family for allowing us to purchase this wonderful property,” said Derek Halberg, TRLC Executive Director. “One of TRLC’s top priorities continues to be the preservation of land along Fishing Creek. Fishing Creek is truly one of North Carolina’s natural wonders, providing habitat for some species of wildlife that are found nowhere else in the world. The Owen Tract borders 1½ miles of Fishing Creek. Fishing Creek is the largest tributary of the Tar River, draining an 894-square mile area in portions of Edgecombe, Halifax, Nash, Warren, and Vance Counties before converging with the Tar River near the Town of Tarboro. TRLC’s acquisition of the Owen Tract will help preserve habitat for several endangered wildlife species that reside in Fishing Creek, including the Tar River spiny mussel, Atlantic pigtoe mussel, and yellow lance mussel. Freshwater mussels help keep streams healthy by filtering and purifying water as they siphon water to feed on algae, plankton, and silts. Sixty percent of the Owen Tract is hardwood forest located within the 100-year floodplain of Fishing Creek. A conservation easement was placed on the property by TRLC to ensure that the floodplain will remain undisturbed forever. Forested floodplains help downstream communities by absorbing and slowing waters that rise above creek banks during storms and hurricanes. Additionally, these forests play an important role in filtering sediment and nutrients that could impact drinking water supplied to downstream towns and cities. The purchase of the Owen Tract was made possible by generous grants from the NC Clean Water Management Trust Fund, the NC Attorney General’s Environmental Enhancement Grant Program, the Eddie and Jo Allison Smith Family Foundation, the Hillsdale Fund, and the Cannon Foundation. TRLC offers periodic guided hikes for the public to learn more about the organization’s mission and the properties protected by TRLC. To receive the announcements about future hikes, please send an email with your contact information to events@tarriver.org or call Sheryl Munt at 919-496-5902.